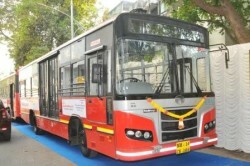 Pune Mahanagar Parivahan Mahamandal Ltd (PMPML), provider of public transportation services in the fast growing cultural capital of India’s Maharashtra State, says it will add almost 1,000 alt-fuel buses to its fleet in 2019, 840 of which will be powered by Compressed Natural Gas (CNG). The announcement was made post the PMPML board of directors meeting which took place last week, as reported by Hindustan Times. The CNG buses will be phased in over two tranches in 2019, roughly six months apart, following a public tender process. With the induction of these 1,000 new buses, the total fleet strength of PMPML will increase to 2,450 buses, the article states.